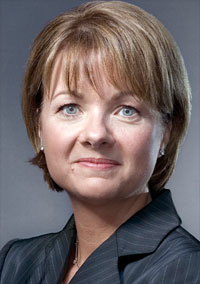 WellPoint President and CEO Angela Braly defended premium rate increases in California of up to 39% before Congress, while Democratic lawmakers cited internal company e-mails as evidence that WellPoint is putting profits over patients. Testifying before a subcommittee of the House Energy and Commerce Committee, Braly said that rising hospital and physician costs and an aging population are causing the average 25% rate increase on the individual market this year for its subsidiary, Anthem Blue Cross of California. Rep. Henry Waxman (D-Calif.) showed internal WellPoint e-mails from last fall indicating that executives would conduct a “filing strategy” with the California Department of Insurance, and seek a rate increase of on average of 25% to 26%, but through negotiations would ultimately settle for a 20% rate increase. “That sounds like padding,” Waxman said. As medical costs continued to escalate last fall, the average 25% rate increase became necessary, according to WellPoint officials. “Our prices were not adequate,” Braly said. Meanwhile, HHS Secretary Kathleen Sebelius is asking the heads of five major health insurance companies to meet with her next month to explain why their premiums are on the rise. Sebelius wrote to the chief executives of Aetna, Cigna, Health Care Service Corp., UnitedHealth Group and WellPoint, asking them to a meeting March 3 on recent rate hikes. Anthem Blue Cross of California has agreed to hold off on the rate increases until May, while the state awaits an independent actuarial review. The ranking Republican member on the committee, Rep. Michael Burgess of Texas, criticized California regulators for not objecting the rate increases until they were reported in the press. But he was also incredulous that WellPoint would raise rates so much this year. “You knew this was going to be trouble,” Burgess told Braly.